A new staging of this quintessential ballet is co-produced by Ethan Stiefel and Johan Kobborg, internationally acclaimed principal dancer of the Royal Ballet. 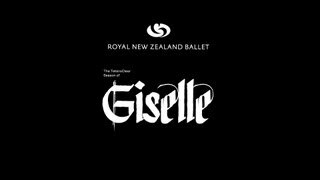 Gillian Murphy, RNZB Principal Guest Artist and star of American Ballet Theatre, dances Giselle, one of the most dramatic roles in the classical ballet repertoire. Disguise and revelation, love and jealousy combine in this tragic tale. A love story unfolds against the ghostly backdrop of a Rhineland forest haunted by the fearful presence of the “Wilis” – vengeful spirits of abandoned brides. The beautiful peasant girl, Giselle, falls for Albrecht who conceals his identity to win her. The discovery of her lover’s deception shatters Giselle’s innocence and causes her to die of a broken heart. Albrecht is thrown into the hands of the merciless Wilis, but Giselle cannot bear to watch him die and returns as a ghost to save him. 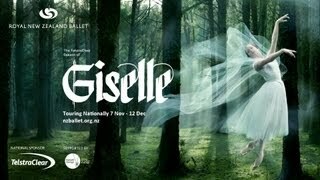 Giselle is the most dramatic and beautiful of ballets and the RNZB’s brand new production is a must-see in 2012. The stage is throbbing with talented dancers, among them three sets of soloists for this short season. I have seen them all in rehearsal. Pitch perfect. Lucky us.